Expectation was in the air earlier this week as Intel revealed what its future processor releases would be. These include the i9-9900K, which Intel wasn’t hesitant to call the “world’s best gaming processor”. 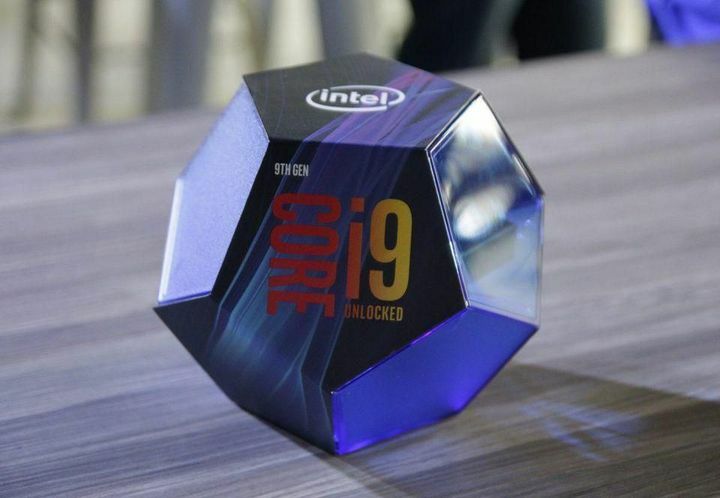 But it’s likely this new i9 wasn’t a surprise to many attending Intel’s event, as the processor’s cool new packaging, a dodecahedron-shaped box which some has pointed out resembles a Destiny engram, had leaked out days earlier. Intel also confirmed something many were not so happy about, and that is that the upcoming i9-9900K (which is slated for release later this month) will retail for close to $500 US dollars ($488 to be exact), as reported on TechRadar. However, Intel’s demonstration in New York sure made it clear this is one beast of a processor, as a matter of fact the i9-9900K has enough horsepower to run two games at once as Intel demonstrated during its presentation. Also, Intel’s new i9 can deliver a healthy increase in frame rates in video games such as the upcoming Hitman 2 according to the company. This isn’t surprising taking into account that the i9-9900K is Intel’s first mainstream 8 core processor while it also supports multithreading (and can therefore handle 16 simultaneous computing threads at a time). Obviously Intel is taking aim at AMD’s second-gen Ryzen 7 2700X processor here, and is now likely reclaim the gaming performance crown from its bitter rival after AMD stole it briefly this year with its mainstream high-end Ryzen CPUs. Of course, Intel’s new i9 might be a bit too dear for the average gamer, so thankfully the Santa Clara company is releasing several new, lower-priced ninth-gen processors for the consumer market this fall. These include the i7-9700K (curiously the first i7 not to feature multithreading) which is priced at $374, and the i5-9600K which comes in at $262, with more, even more affordable CPUS to follow in the future. Aside from its mainstream-oriented offerings, Intel also showed off the new models in its professional Core-X series. These include the 18-core Intel Core i9-9980XE which while being behind AMD’s Ryzen Threadripper 2990WX when it comes to number of cores, Intel claims is able to outperform its rival in popular applications such as rendering software Maya. Things are looking good, then, for anyone interested in upgrading their gaming PC, especially if they can afford the expense of acquiring Intel’s flagship mainstream processor, the i9-9900K. For the rest, there will surely be cheaper ninth generation processors to come from Intel as its war with AMD heats up in the budget market too, so stay tuned to this website for further news regarding both Intel’s and AMD’s latest gaming processors soon. Next: Is PlayStation 5 coming in 2019? Is PlayStation 5 coming in 2019?